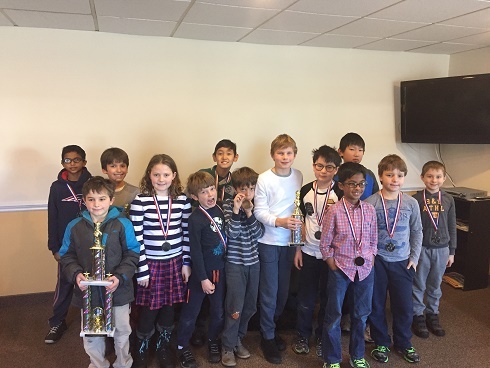 Forty eager players, with a variety of different ages and skill levels, competed in this month's Scholastic Championship. We want to commend each and every player for the remarkable focus and sportsmanship the demonstrated throughout the day. Nine kids played in the K-2 section. Erik Nebylovych took first place with 3/3 total points. Reghav Arun and Sahil Vora also scored 3 points. They were in second and third place, respectively. 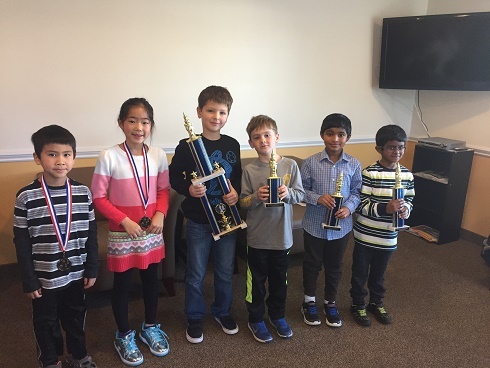 Finally, Sarvesh Neelavalli and Leah Zheng both won two games and secured fourth and fifth place. The K-5 section was our largest section, with 17 children competing. Jacob Green played a flawless tournament, winning all four of his matches. He came in first place. 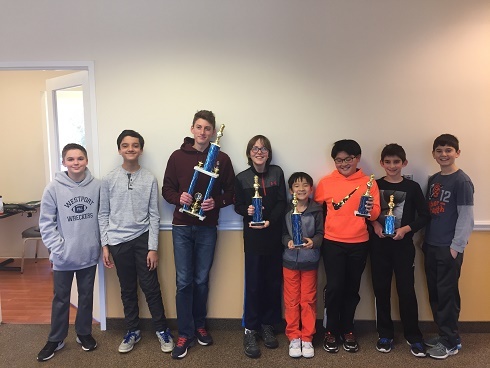 Max Ingargiola, David Linnett, Arav Ramaswamy, and Jackson Gerardi all won three of their games. They came in second, third, and fourth place, respectively. Finally, fourteen kids played three G/45 matches in the K-12 section. After four grueling hours, William Siege cam out on top, winning all three of his games. Eddie Li, Aurelius Mlynar, Jared Schwartz, and Joseph Ho came in second, third, fourth, and fifth place, respectively. All four of them won two of their three games. Congratulations all the winners and thank you to all the participants. We hope to see you all again soon!